The day many of us have been waiting for has come, and Soul Sacrifice has been released for everyone to purchase. 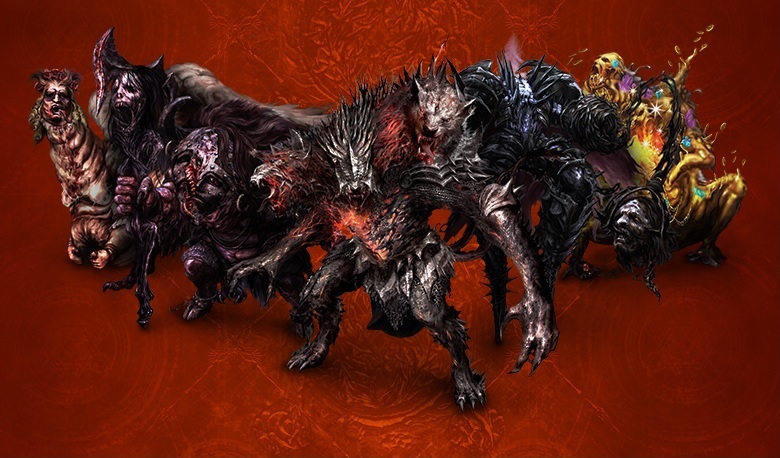 To showcase the game, the official launch trailer for Soul Sacrifice has been released. It highlights the action of the game, alongside cinematic music and grandiose captions. Whatever, its just a trailer. In addition to the trailer, concept producer and founder Keiji Inafune has recorded his thoughts on the game in the latest developer diary found on the Playstation Blog. There he reveals that for those of you who purchase the game on the Playstation Network, you will receive the same pre-order bonuses that those who get the physical copy of the game enjoy. These include two "unique costumes" for customization and three magic items that will aid the player in battle. The three offerings are named Flamespike, Blightstone, and Fulgurwood. Lastly, you will receive the Japanese voice-over pack free of charge. Inafune closes the developer diary with some rather poignant thoughts on the game. It is one he is obviously quite proud of, and one that contains an underlying theme important to us all - sacrifice. Inafune shares that he has sacrificed much over the years in order to bring us video games, and ultimately asks we the players what we are willing to sacrifice in playing the game. For many of us, it will probably be a work or school day and a good chunk of cash. If you wanted to learn some of the finer points of Soul Sacrifice, it might be best to check out the developer walkthrough from European Producer Olivier Banal. In the developer walkthrough, Banal covers many of the bases that will help you in your adventures throughout the game. It is a little long, but worth checking out if you need a few tips. Soul Sacrifice is available today in store or via the Playstation Network. It features cooperative play with up to four players both locally and online. Page created in 0.2640 seconds.